A jazz musician is by nature an explorer at heart, but it always helps to have a few fellow adventurers at your side. 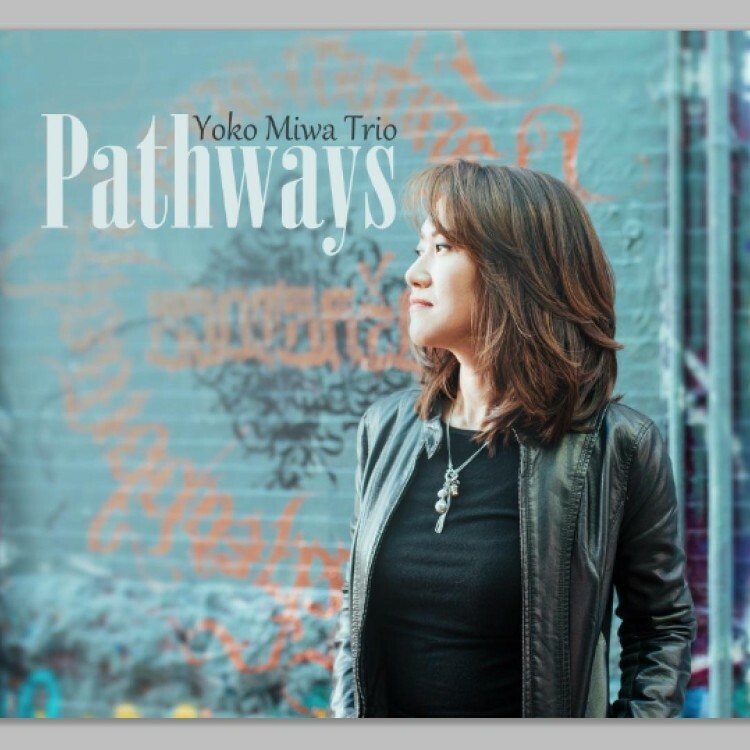 On her new album, pianist Yoko Miwa sets out to navigate a few new Pathways with the help of her longstanding and deeply harmonious trio. With more than a decade and a half together, the Boston-based trio showcases the unique ability to wander down diverging trails without ever losing sight of their shared destination. On Pathways, Miwa is joined by bassist Will Slater (with Brad Barrett stepping in for one track) and drummer Scott Goulding. The remarkable telepathy they share has been developed over 15 years and countless hours logged on the bandstand, not to mention the accompanying personal bonds (Miwa and Goulding are married, after all). That energy is infectious, and sure to entice audiences to follow along whatever new Pathways Miwa and her stellar trio choose to head down next.